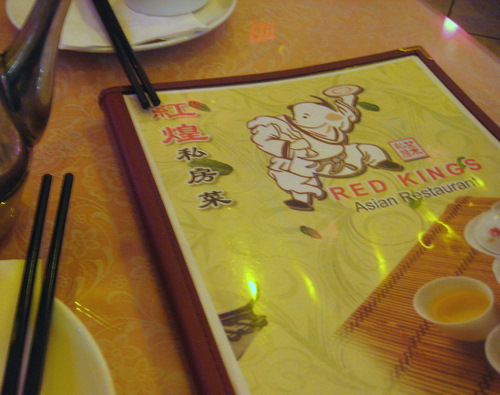 While chatting with B the other day, he was telling me that I had to stop by Red Kings. He’s going to be moving away from chinatown soon, so he’s going to try to get his fill of delicious and cheap chinese food before the sad departure. This place has terrible lighting. It’s yellow. They really need to fix that. I read that they had soup dumplings so I had to try them. After loving them so much from dim sum garden, I had high hopes. 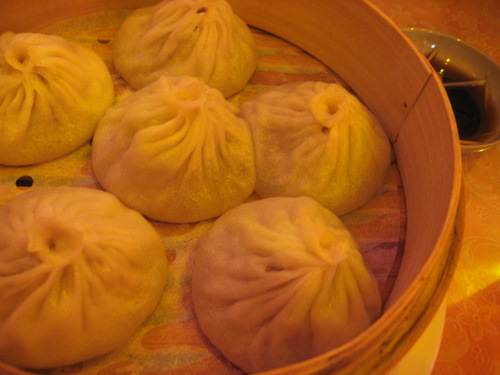 These were ok, but they were no dim sum garden soup dumplings. I thoroughly prefer the dim sum garden version. But these are ok as far as dumplings go. J was leaning towards poor menu choices again, so I encouraged him to get the roast pork with broccoli. 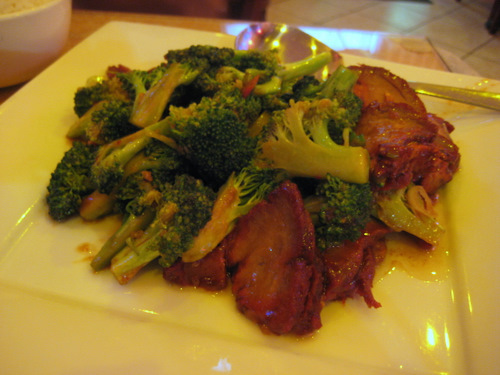 It turned out to be a great dish with plenty of sliced char siu stir fried with fresh broccoli. I always thought the sliced rice cakes were a korean thing, but once I realized it was also in korean food, I wanted to try it korean style. 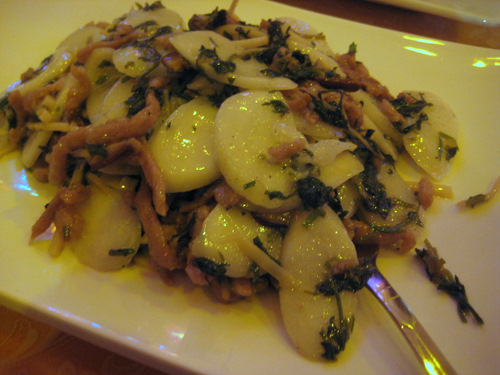 This is the sauteed rice cake with shredded pork and mustard green. The problem with this dish for me was that they didn’t mention that there were mushrooms in it. And these particular mushrooms made the entire dish taste like mushrooms, and I don’t care for mushrooms. But the rice cake and the greens were just fine. I just wish they would warn you when a dish was going to be full of mushrooms so I would not have ordered it. Boo. It would have been a thousand times better without them. Oh well, you live and learn.